No more /src/main/webapp/vendor/jquery.min.js, or /styles/bootstrap.css! Just a Maven dependency like the other libraries. WebJars are client-side web libraries (e.g. jQuery & Bootstrap) packaged into JAR (Java Archive) files. Maven is great on managing jars, but not so good for static web dependencies like CSS or JS files packaged in a zip. 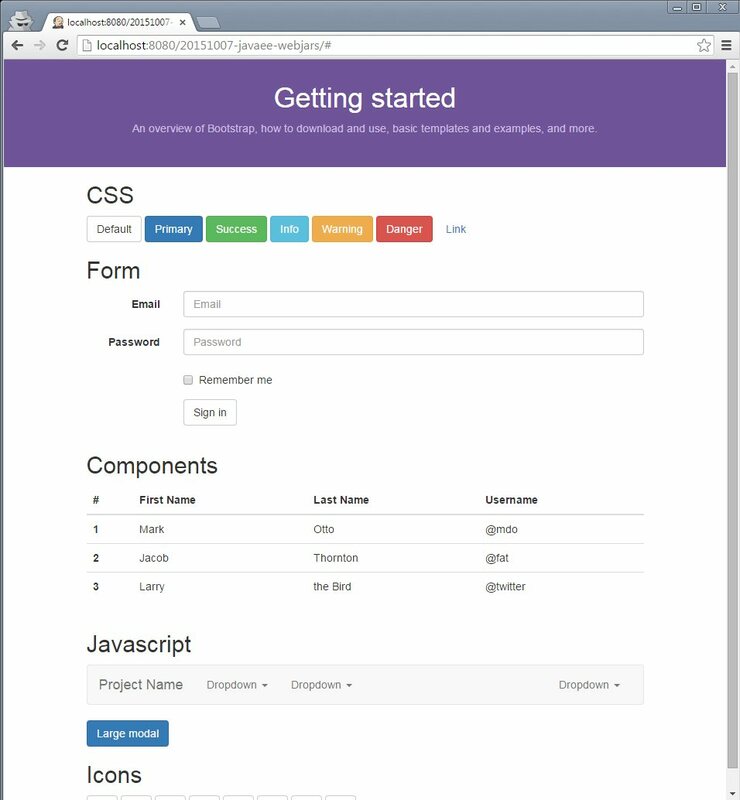 With Webjars you can have AngularJS or Bootstrap in your pom.xml, like you did with Bower on a web project. Only pom.xml and web.xml are required to manage web depencies. And you’ll see your web dependencies like the others. 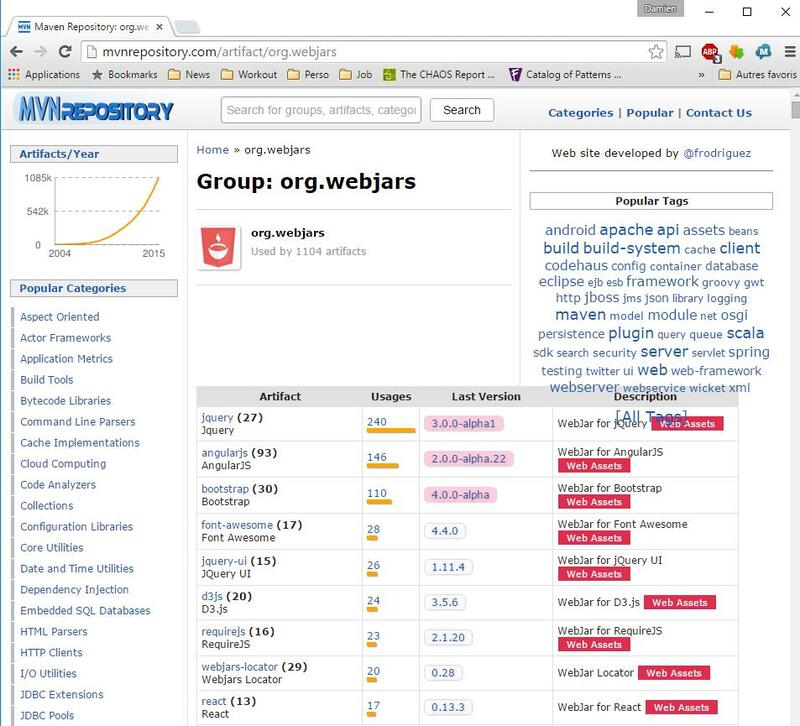 A good tool, and a big maven repository behind it (org.webjars). clean: no more binaries in your source repositories! You will find a lot more libs at mvnrepository or webjars.org !